Low-carb diets are gaining traction around the world for helping people lose weight, the most prominent among which is the fat-rich ketogenic diet. Over the years, fruits have acquired a notorious reputation with health and diet freaks. This is because they are rich in sugars, which increases their carbohydrate count. So, while people are moving towards high protein low-carb diets, they are eliminating fruits along with grains and breads from their meals. However, fruits are one of the healthiest foods to eat, especially when you’re on a diet. This is because they are rich in vitamins, minerals, and are also powerhouses of antioxidants. So, these nature’s candies may have a lot of sugars in them, but the calories that they supply to your body aren’t empty – the nutritional value of fruits is too high for you to be ignoring them! 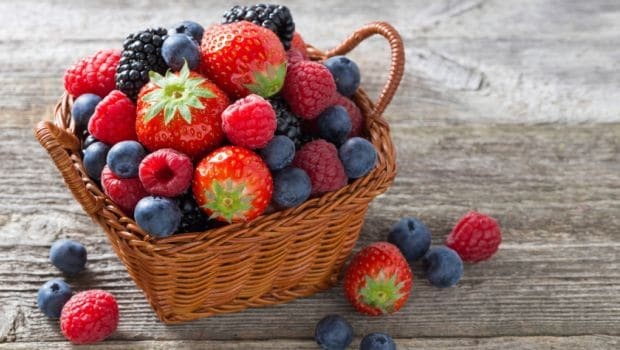 Moreover, there are weight loss fruits that are rich in fibre, which is a satiating nutrient, which also helps in regulating blood sugar levels. Blackberries are used for making desserts, jams and other confectionaries, but they’re the healthiest when consumed raw. A 100-gm serving of blackberries contains just 10 gm of carbohydrates (as per USDA data), which makes them ideal candidates for including in low-carb diets. So, now you know! Any diet plan will only show results if it is paired with adequate exercise, regular hydration and enough sleep. Additionally, it’s important to include more nutritional foods in your meal plans, and fruits are treasure troves of nature’s goodness. It’s time we stopped making them out to be the enemies that they probably never will be!